We are presenting a handmade body scrub, a natural utility made from pure Vetiver roots ,a densely tufted grass. 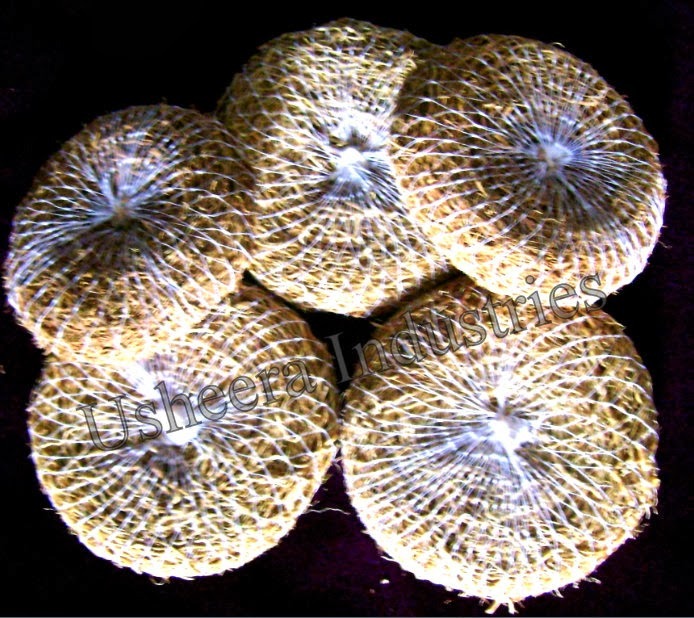 It has a very subtle fragrance and is traditionally thought to be beneficial for good circulation and to relieve tension. Vetiver is also a natural antiseptic. Use to exfoliate and relax the entire body gently relieving tension. Regular use will keep the skin smooth ,soft and radiant. Before use soak in water for ten minutes and after use keep it dry. It has deodorizing properties and helps normalize oily skins and clear acne. It has a rejuvenation effort on mature skin, as well as cuts / wounds/irritated and inflamed skin. It replenishes moisture in dry and dehydrated skin. Helpful in overcoming depression, insomnia, anxiety, stress, tension and nervousness. It removes the dead skin from our body. 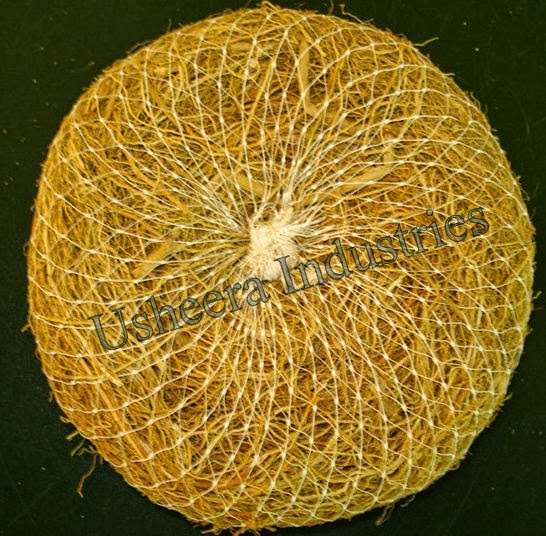 The charming smell of the roots of Vetiver grass is the most prominent specialty of the scrubber .once used this scrubber you will prefer to use it regularly.